Request for some of the most sought after City services below. or (213) 473-3231 outside the greater Los Angeles area. For the hearing impaired, dial TDD Number (213) 473-5990. 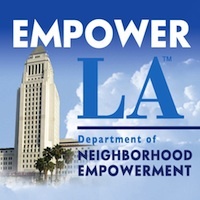 Also you can email 311@lacity.org. For even more info go to: What is 3-1-1? (¿Que es 3-1-1? ).